FREE BACON!! « Mostly Domesticated. Either I had you at “free”, or I had you at “bacon”. Does it really matter? They both are pretty awesome. Listen, I only take orders. One of my bosses is The Honey Badger. And, when she wants bacon, well…she’s not joking around. So, I set off on a mission today. Retrieve bacon for the badger….among other things. I was desperate to get out of the house, anyway. 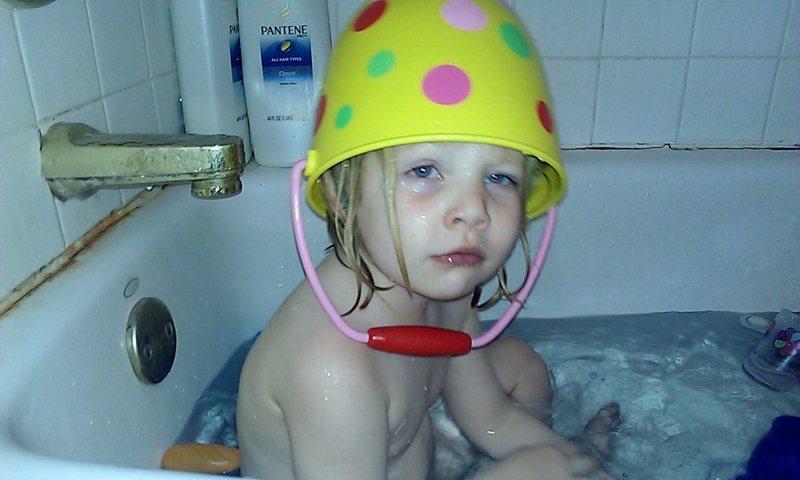 I have been cooped up here for two days with a child that was possibly feigning illness to stay home, and the one pictured above. Ok, ok, Dylan was not actually feigning illness. He had really swollen tonsils, a fever, and is quite bored to tears now, and is ready to get back to school tomorrow. Usually, I despise going to the grocery, but my husband doesn’t mind one bit. Today, I was absolutely THRILLED to go myself! 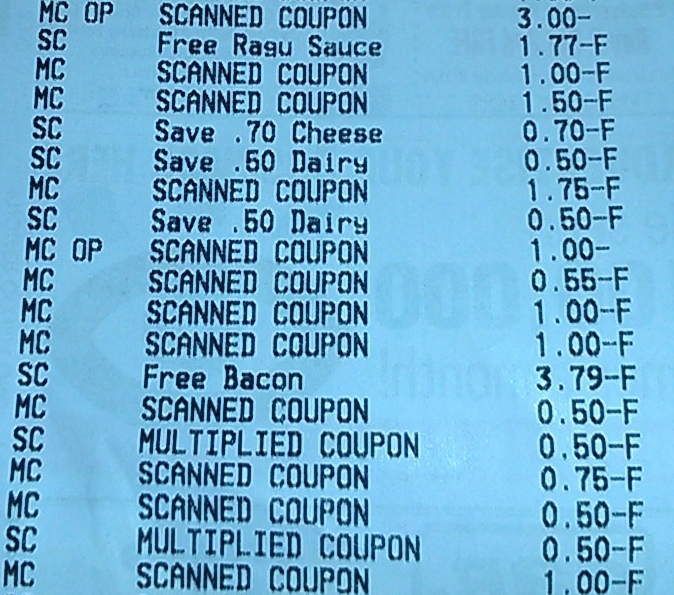 I had a ton of coupons; one of them was – free bacon! Who gives away free bacon??? You have to be on your game, but it can be done. Proof. I speak the troof. Speaking of snacks, the Honey Badger was also enjoying a “snack” while her Daddy read her a bedtime story. Sean starts to read the book and Erin says, “HOLD ON, SISTA!” as she quickly indulges her snack. When she was done, she acknowledged that she was indeed finished, and ready to move on with the story. It’s hard out there for a honey badger. This entry was posted in Uncategorized and tagged Bacon, couponing, coupons, Dylan, Erin, free, Honey Badger, Sean, Snack, The Boss. ← Sean McGill Strikes Again!